The first album in 30 years from the original line-up of the post-punk legends. Bands are like families, bound by something deeper than friendship - and liable to implode just as irrevocably. 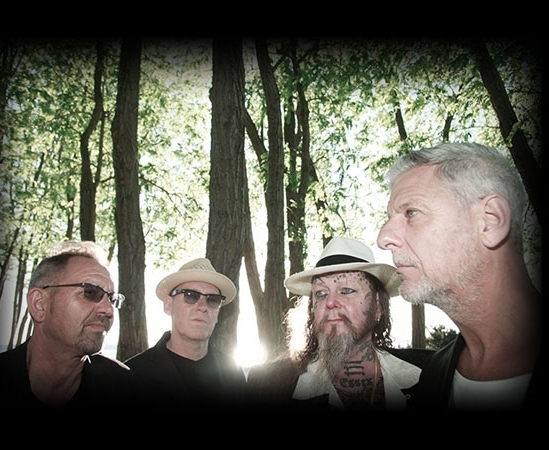 Yet that familial bond can equally draw you back, and so it is that four-fifths of the original Modern English have recorded their first album together in 30 years. Take Me To The Trees not only reconnects the band to their roots, in the fervent and fecund world of late 1970s/ early 1980s post-punk Britain, but they have co-produced it with Martyn Young of Colourbox and M/A/R/R/S fame, whose last production job was 1986. Moreover, the album's beautiful cover is by venerated art director Vaughan Oliver, whose very first sleeve design was Modern English's 'Gathering Dust' single in 1980.